Internet access has a vital role in a daily routine in the present time. The ever increasing demand for internet access has resulted in high cost of internet and thus making its availability difficult. 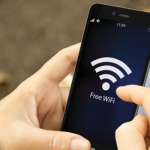 Considering all these shortcomings in the availability of the internet, Punjab government has taken an initiative along with the coordination of Punjab Information Technology Board (PITB) to install 250 WiFi hotspots at public places including educational institutions, metro stations, airports and other major and prominent places. The masses are really satisfied with this initiative particularly the students as it will prove truly beneficial and will assist them in studies. Video Streaming and downloading facilities have been banned in order to promote positive use of this facility. Service authentication will be done through user IDs and mobile numbers and the users will receive a code through SMS to connect to the internet. Only the websites essential for people will be given an access and the unimportant ones will be banned. In addition, the internet subscription will be timed to avoid data hogging. In order to ensure the security concerns, the service will keep a record of time and location logs but there will be no check on data browsing and history initially. The service is expected to start in other major cities as well once the project will successfully start running in Lahore. Nabahat Tahir leads the content production team at Techober. She also works as a web content manager at Centangle Interactive, an Islamabad-based digital media agency. A Music Mela in Hunza? Yes to that!